Key Cutting? From a locksmith? Sure, very unusual. You may think we’re being ridiculous, but bear with us. Of course, key cutting is a very typical locksmith service. But did you know we can also copy, repair, and replace your car keys? And yes, that includes sidewinder (laser-cut) and transponder (electronic key fob) keys. Next time your key fob goes on the fritz, you can skip the hours-long wait and exorbitant fees at your local car dealership. Just call your local St. Louis locksmith instead! While we’re talking about cars, let’s discuss locks and ignition issues. Over time, keys can weaken and occasionally just snap in half. When this happens as you’re trying to turn the ignition or open a door, it may feel like an awful day. Don’t worry! You don’t need to call your dealership for an emergency appointment. Your local locksmith team can come extract that broken key, duplicate it, and get you going again quickly. In addition, sometimes it’s necessary to change the locks on your car, just as you would change out the locks on your home. Lock re-keying is a great way to improve the security of your vehicle without much hassle. Your local locksmith team can re-key your vehicle’s locks. But, since you’ll need new keys, this also means re-keying the ignition—we can do that too, of course! Even if you aren’t re-keying your car, if you have ignition issues, we can usually repair those more quickly than your local dealership. Unfortunately, this isn’t quite like they show in heist movies—well, okay, maybe it is a little bit. Whether you have a safe in your home or your business that you lost the keys to or you just happened to pick one up at a garage sale, your local locksmith can help you get it open and often get it working again. If you’re looking to improve the security of your valuables, either at home or for your business, give us a call and we can help with safe installation as well! No matter what help you need, if it has to do with keys or locks, odds are pretty good we have the training and experience to do the job for you! 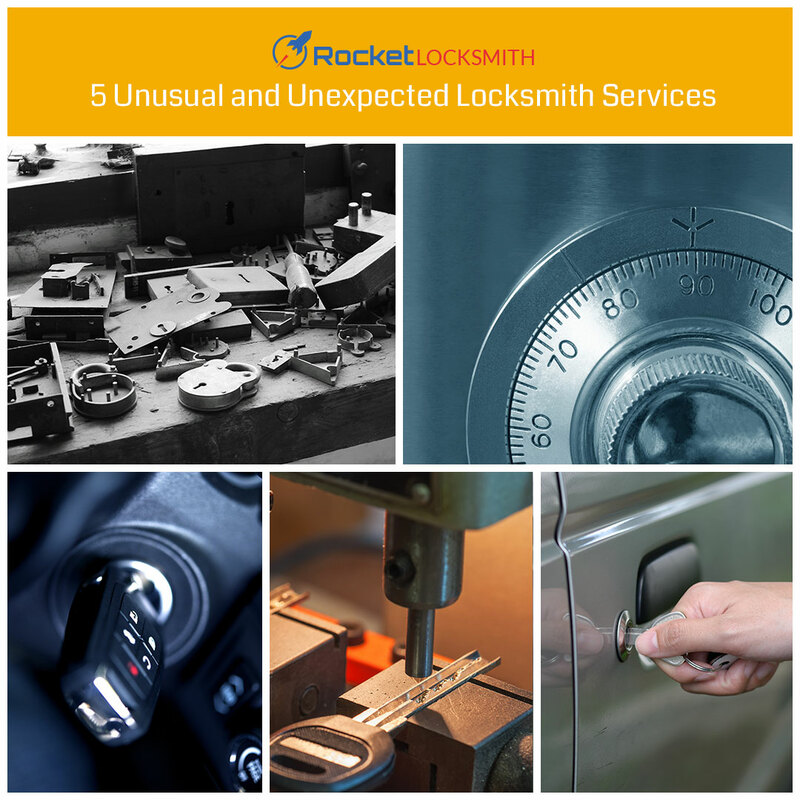 If you need a locksmith in St. Louis, give Rocket Locksmith a call today for quick and experienced service!